Born between 1980 and 1996, millennials are currently the largest generation in the American workforce. Some individuals see them as bratty and spoiled and think they are always trying to find the easiest route in life instead of working hard at their job. The response to their presence in the workforce hasn’t always been positive. This leaves recruiters confused on how to handle Millennials reputations in the workforce. The priorities are different greatly from Millennials and their predecessors, as many recruiters have attempted to use the same old interviewing techniques when bringing Millennials in for interviews. Therefore, recruiters need to have an approach during the interviewing process that can both help Millennials and themselves where they can both find a good fit for each other. Millennials are now at the point of their life where they now have families of their own and flexibility to raise children, care for parents, or take care of other needs has become important to them. Start selling them on PTO (Paid time off) time and maternity leave, and other benefits that will assist them in managing all of their life’s responsibilities. Especially when they are trying to decide if they want to take the job position this could become a big selling point. Millennials place more importance on the opportunity for growth at work and really apply for jobs that really advertise that on their postings and during the interviewing process. They place a greater importance on businesses and companies that have advancement in the jobs than past generations. Be very vocal about future growth within the company so that they know what they are applying for. This not only helps them but it helps you when recruiting Millennials so that you guys are both on the same page about career growth. Millennials are a highly tech-savvy generation whereas, Baby Boomers and Gen X were expected to be required to report to work. They know how to do everything where there is a high-speed internet connection which could make task much easier for them to finish at a reasonable time. The work is going to get done no matter what and during the interviewing process be very open to the idea of flexibility as long as the work gets done. 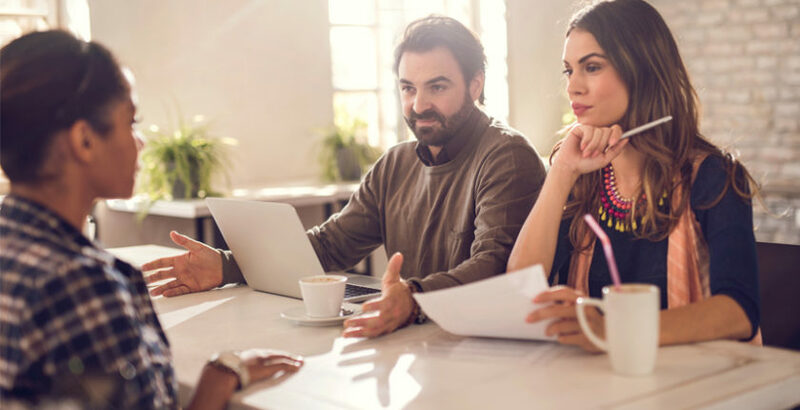 Times are changing and now more Millennials are walking into your office for these interviews and it’s important to understand where they are coming from and see their point of view. The process that has worked in the past might not work for the future. This is why it’s important to know who your target audience is and attract them through the job interviewing process.